Gold is director Reema Kagti's sellout film, and that's a shame. In a film as terrible as Reema Kagti’s Gold, there are a couple of exceptional moments that belonged in a film with more skill and empathy. As Imtiaz (played by Vineet Kumar Singh) finds his way to a friend’s house in the immediate aftermath of the 1947 partition, he’s attacked by a mob. Rescued by a former protege, Imtiaz sees some of his fellow Muslim brothers being chased by mobs, some hanging from trees and eventually gets the chills seeing his friend’s charred home. Responding to Akshay Kumar’s verbose attempt to pacify him by asking him to flee to Lahore, Imtiaz sheds a single tear and says – main vapas nahi aaunga (I won’t be coming back). It is a powerful scene that doesn’t belong in a movie that’s essentially a series of bad decisions. 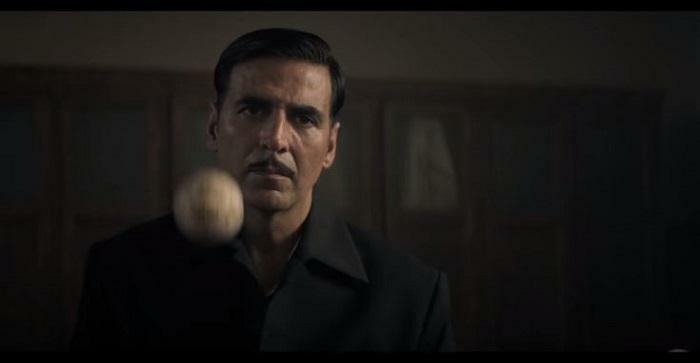 Hiring Akshay Kumar to play the role of a Bengali manager, Tapan Das? Bad idea. No Mr Kumar, you cannot get away with more than a dozen ‘Ke-mone aachhe?’ – we don’t greet each other like that. Shooting the hockey matches in a way that makes the vintage footage from Super8 cameras look more fluid and less staged? That takes an exceptional level of indifference to one’s work. To take Mouni Roy (a Bengali by birth) and make her speak Bollywood’s version of Bong-accented Hindi, is both offensive and laugh-out-loud comical. Reema Kagti has previously presented some decent work to inspire faith that she could handle an expensive ‘period sports drama’ like this one. But Gold believes in nothing but broad strokes. It believes in national flags, a ‘fake Hitler’ who says things like ‘ridiculous’ (is German for?) when his teams loses. It believes in silly coincidences allowing the ‘hero’s antics to take precedence over the story’s real heroes – the hockey players. It believes in ending with a national anthem that appeals to the hashtag trend of #Patriotism, #Nationalism and #IProudToBeIndian. Gold is not only an inept film that resorts to cliches because of its writer/director’s (Kagti) lack of imagination, but it’s also dangerous because of who it panders to. Set shortly in the aftermath of India’s independence, Gold charts the journey of a self-proclaimed pagal Bangali, Tapan Das (Akshay Kumar) and how he puts together a team to win our first Olympic gold medal. It’s a fascinating story, really. Three-times champions India to be participating for the first time as an independent country while trying to field a world-class playing XI after the recently-concluded World War II, followed by the partition – India should have been considered for a medal, for participating alone. And then to go on to take on a newly-formed Pakistan on the pitch, along with the colonisers (England) on their home turf – this is an incredible true story. But in the hands of Reema Kagti – this story is a cow (also a #trending animal) to be milked. So she will shine the light on Akshay Kumar’s awful accent, without even trying to hide his lack of skill. This is shoddy, taken-for-granted filmmaking that allows a Sajid Khan or a Farah Khan to go ahead with dreadful screenplays. They know as long as they include the money-shot of a sultry item number with an attractive actress and puerile humour – they will sail through with positive cash flow. 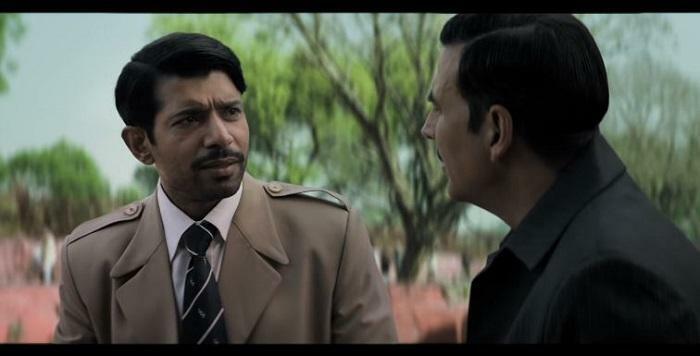 To call Gold a perfunctory sports drama, is doing disservice to Shaad Ali’s Soorma. This is worse. And that’s because Gold is made to appease certain populist sentiments in the country. This is Reema Kagti’s sellout film, where she can’t even resist letting her leading man slip into his Singh-Is-King mould for a song, in a film where he’s playing a Bengali. During the last few minutes of the movie, you see Imtiaz (now the captain of Pakistan) cheer for India, from the stands. And right when you’re pondering over whether he would have made for a more fascinating protagonist in the film, the camera moves to an Akshay Kumar close-up chanting Vande Mataram. It’s the most agonising reminder that this is a dishonest Bollywood film, that doesn’t know how to value true story accounts. As Imtiaz celebrates an Indian victory, the audience can’t help but feel profound sadness. This film is far from a victory.